Welcome to YMCA Collin County Adventure Camp! 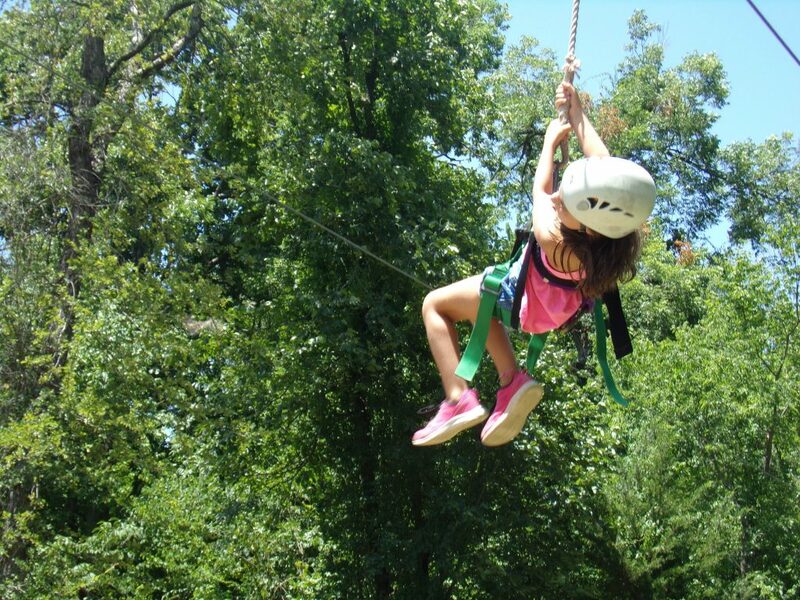 Collin County Adventure Camp of YMCA of Metropolitan Dallas is set on over 400 acres of beautiful Blackland Prairie and is a place for kids of all ages to learn, grow and be themselves. Throughout fall and spring, CCAC bustles with schools of all sizes here to learn through our Outdoor Education programs. In the summer, Camp provides a happy place for kids (ages 7-12) to explore, learn and grow in the great outdoors. For adults who want in on the adventure, CCAC welcomes groups, organizations and businesses of all sizes for customized retreats. 2018 Summer Camp Registration is NOW OPEN! Yes! While you are welcome to drop off and pick up your child here at Camp, we also provide bus transportation from the McKinney, Plano, and Frisco YMCAs, and our NEW location in Princeton. The cost is $50 per camper (per session) and includes before/after camp care. Do I need to send a lunch with my child? Lunch is provided here at camp every day and is included in the registration fee. We also provide an afternoon snack along with plenty of water breaks. What else should my child bring to camp? Once your child is registered, you will receive an info packet that includes medical forms, a parent handbook, and a packing list. For typical weeks, your child will need a backpack with a swimsuit, towel, sunscreen, bug spray, and a water bottle. Are there lifeguards on duty at camp? Yes, we always have certified lifeguards at all water activities. Campers will do a short swimming test on the first day of camp and receive a colored wristband based on their swim level. Lifejackets are available at the pool if needed. For activities at the lake, all campers are required to wear lifejackets at all times. Are the counselors background checked? Yes. It is the policy of the YMCA for all staff and volunteers to be background checked. They are also certified in CPR and First Aid and go through an extensive staff training, which includes Child Abuse Prevention training. Can my child be in a group with his/her friend? Campers will be placed in groups according to their age. Ages 5-7 will be have a camper/counselor ratio of 6 to 1. Ages 8-12 will be in groups with a camper/counselor ratio of 8 to 1. We do our best to accommodate buddy requests. Yes. We want every child to have the experience of summer camp, regardless of their ability to pay. For more information, or to receive an application, please contact Kathy Wilson, Business Services Director, at 469-586-3282.